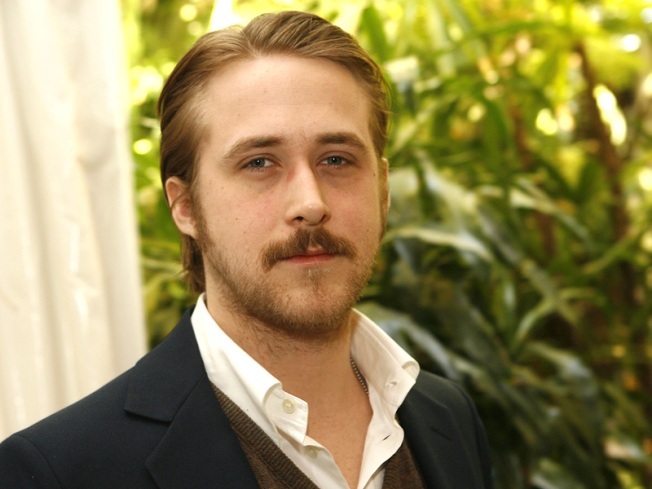 Actor Ryan Gosling arrives at the 7th Annual AFI Awards luncheon held at the Four Seasons Hotel on January 12, 2007 in Los Angeles, California. Last year was something of a golden one for the actor turned musician, with Jamie Foxx, Zooey Deschanel, and Scarlett Johansson all putting out decent or better albums. Ryan Gosling struck one more blow for his set on Christmas Day, dropping a live video from the wrap party for the debut from his band Dead Man's Bones. "In the Room Where You Sleep" is an engaging fifties-style creep-show stalker anthem with Gosling pounding the piano as he whispers, moans, and yelps, theoretically in the dark of a woman's bedroom. But the video turns the horror into Halloween, with a rowdy chorus of costumed kiddies who threaten to steal the show from the "good luck" wishes at the beginning to the swashbuckled cymbal at the end.